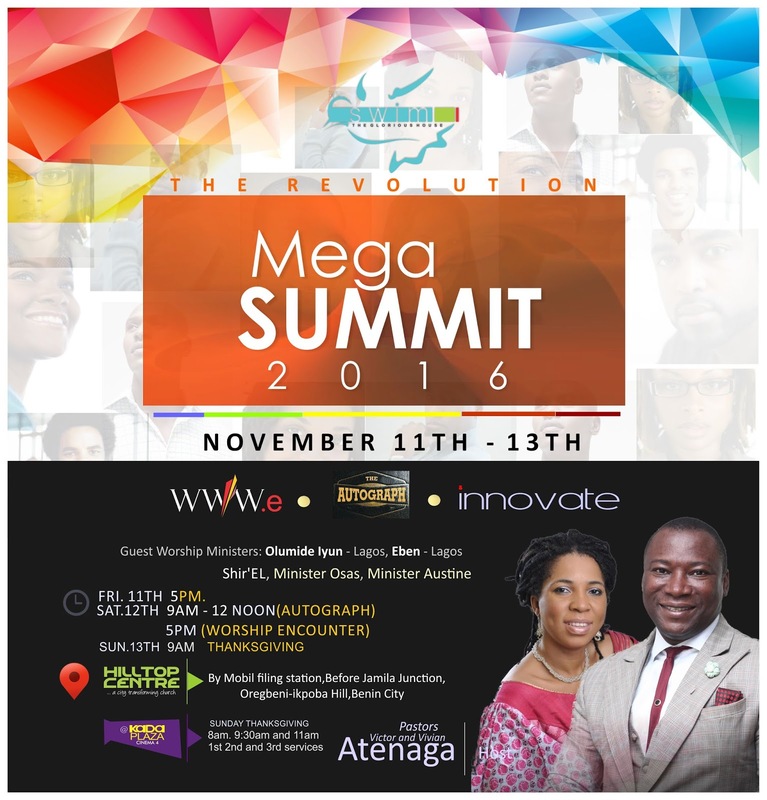 Speakers with great success from the various industries from different parts of Nigeria will be teaching extensively. On Saturday (Evening Session), we will be having a great spiritual encounter of worship in Gods presence. Guest music ministers like Olumide Iyun, Eben, Min. Osas. Legendary David Judah. Min. Austine with Shirel and Rev. Victor Atenaga will be ministering. On Sunday, 13th November, 2016 will be the climax with joyous celebration in thanksgiving to God.